Yep, it's that time of the year again when my thoughts turn to a big ol' mess of poke salad. I usually find a lot out on my place in the country and this year there seems to be a bumper crop of it. 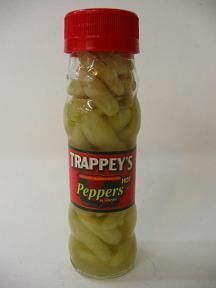 Both sides of my family ate it and I grew up eating it every spring for as long as I can remember. I recall going with my mom and her mother, cutting in with butcher knives down in the Little River bottoms and stuffing big paper grocery bags full of it. We had several "messes" of it each year and since my dad liked it with onions and scrambled eggs, mom would do it that way for him and sometimes even cooking two bunches, one with eggs and one without, just with diced onions. 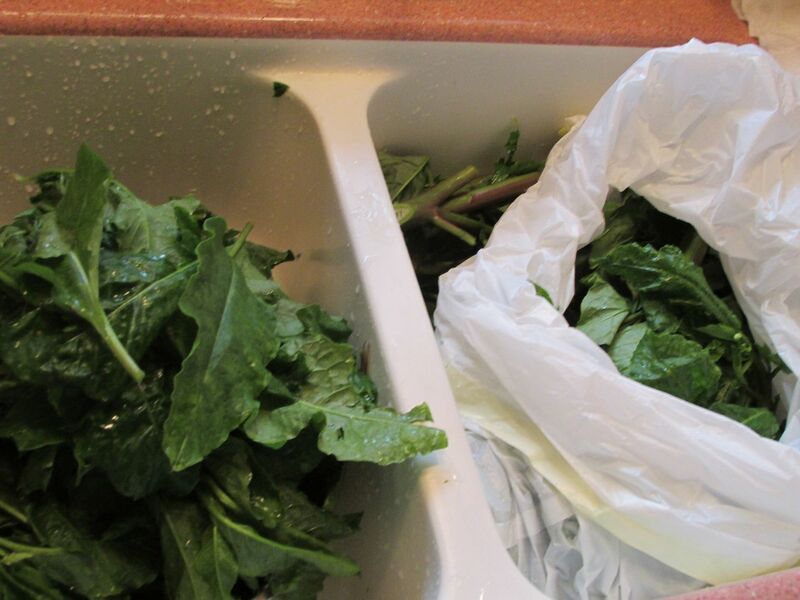 I wash the leaves and small stalks really well and then boil them for 20-30 minutes. Pour out that water, rinse them again and then boil again. 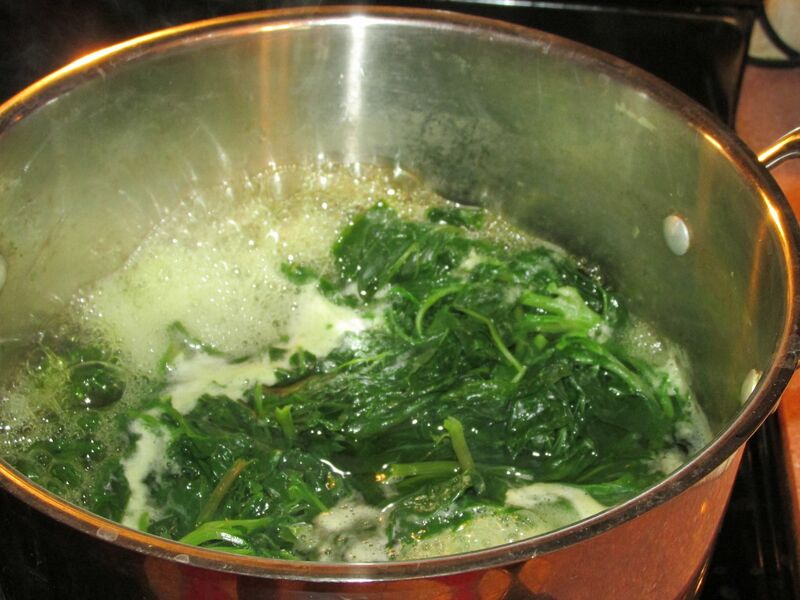 After cooking them for another 20 minutes or so, I drain the water and dump the greens into a collander and scald them with hot tap water for a minute or two. 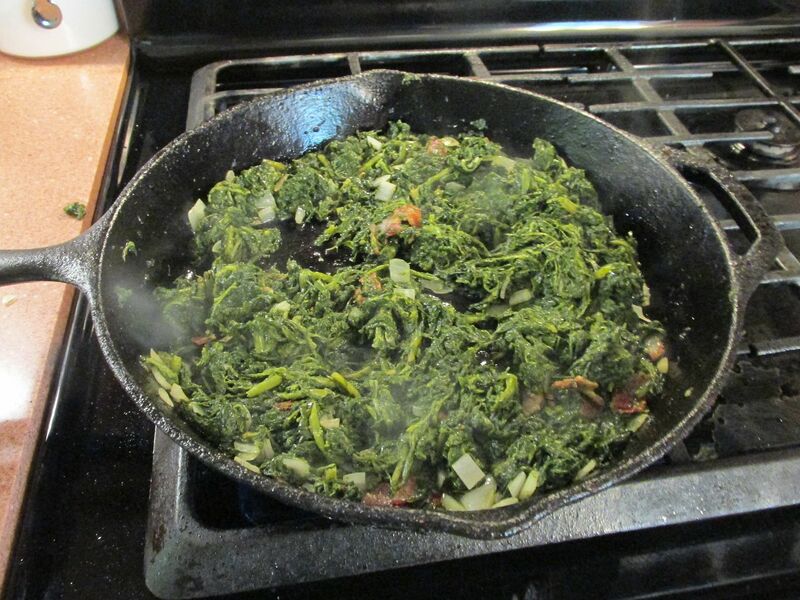 Then the greens are placed in a hot skillet with a little bacon grease and more or less stir fried for a while. Serve them in a bowl with sliced boiled eggs and bacon pieces for garnishes. Put the finished greens on a bed of hot cornbread and get a slice or two of fresh onion. I like to sprinkle a little "pepper sauce" on them before eating. Damnedest thing happened while cutting poke today though. I had a big plastic trash bag and a real sharp Green River knife to cut them. I was in some waist-deep grass and weeds, cutting the tops off a big plant when my knife slipped out of my hand. It just disappeared. Neither me or my wife could find the damned thing. I swear it was as if the ground swallowed it up. Very strange thing. Of course, we have 100% chance for rain tomorrow and by the time it might show up, it will be a helluva mess. I came home and ordered another just like it from Crazy Crow Trading Post. I love poke salad too. Here in Oklahoma it's not up yet. I was always told not to pick it if it was much taller than knee high. How tall do you let it get before picking? A mess of poke salad alongside some fried potatoes and cornbread and you have a feast fit for a king. Thanks for posting. I like it fried up like greens with some cast iron cornbread Mmmm. I've never heard of Tony Jo White but I do know an old man from Oak Grove, La. I will have to ask him if he knew him. They would have been contemporaries. You are most welcome sir! The bigger plants will have a stronger flavor for sure. I've also heard that only plants less than 2' high should be picked. I dunno; with the big plants, I only cut the tops and don't mess with the rest. Usually, I'll cull out all the big stalks, the small ones cook like the leaves. I've never heard of the frying stalks though-might try that too. I'm not that keen on the eggs mixed in either but I gotta have those onions! May add some garlic this year too. Here's a bit of history and some takes of eating "the poisonous plant". Thanks for the links John A! You're right as rain; poke salad and cornbread are just made for each other. A few years ago, I met another teacher/coach with my last name. It's not that common. We became friends and I was even his "landlord" for a year. He grew up in Houston and had never eaten poke. Well, I fixed that for him, telling him that nobody with that last name should not know about poke salad. He ate three helpings of it on cornbread! Thanks for the replies gentlemen! If you know anyone with a metal detector, finding that knife should be relatively easy. (My mother loved poke salad). Good idea Uncle Mick. I may ask around my circle of friends. Of course, it is pouring down now, I don't think that's doing. 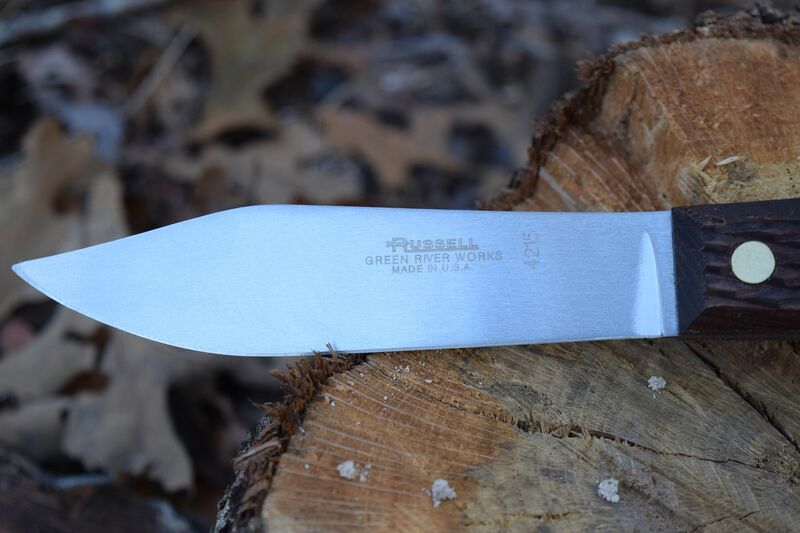 the carbon steel blade and wood grips any good. Still, I might could save it if I can find it. Your mother knew good eatin'! Grew up in Southern Illinois. Every spring we went out and gather poke. We didn't call it poke salad, just poke. Mom would cook up a bunch of poke for weekend dinner. She made enough for a couple of days. Corn bread was a requirement when eating it. She also canned it it. I think it was pickled but she and Grammy were the only ones allowed in the kitchen when they did it. I might have to talk to my sister to see if her canning recipe was in any of her cook books. tac, I'd like to know more about that canning recipe too. I hope you can find out more about it. Please post here if you have any success! Thanks for the reply too! There are lot's of poke fans out there. For my family, both sides of it, it was "free" food, and tasted great too. I asked the old man (his name is Clyde) about Tony Joe White and he said they went to school together. He knew his name before I even told him! Tony Joe was a year older than him. He said they lived about six miles apart as the crow flies. He said they weren't best buddies but he grew up with him. Said TJW really did grow up on a cotton farm. As did Clyde. What a small world. Clyde was medic in Vietnam 1965-66. Discharged at Ft. Sill here in Oklahoma in 1970 and has lived here ever since. His family is still in Oak Grove. I was friends with Clyde's sons growing up. Oddly enough I live on a cotton farm too. Like that so many degrees from Kevin Bacon thing. Bizzare. The bottom line is I'm hungry for polk now. Still have a few weeks to wait. I've had it with eggs but it is a texture thing with me I guess. Maybe I'm weird but I'd rather have the eggs on the side. BTW-Clyde likes Polk salad too. Especially in his eggs with pepper sauce. He likes to pick it young. He claims there is less poison in it. Speaking for myself I have only boiled it once (one time only) and it cramped me up and cleaned me out if out know what I mean. My grandpa always called it spring cleaning! Just throwing this out there but I raised hogs growing up and they wouldn't touch mature poke. When it had the berries on it. It's like they knew it was poisonous. Hogs are smart. 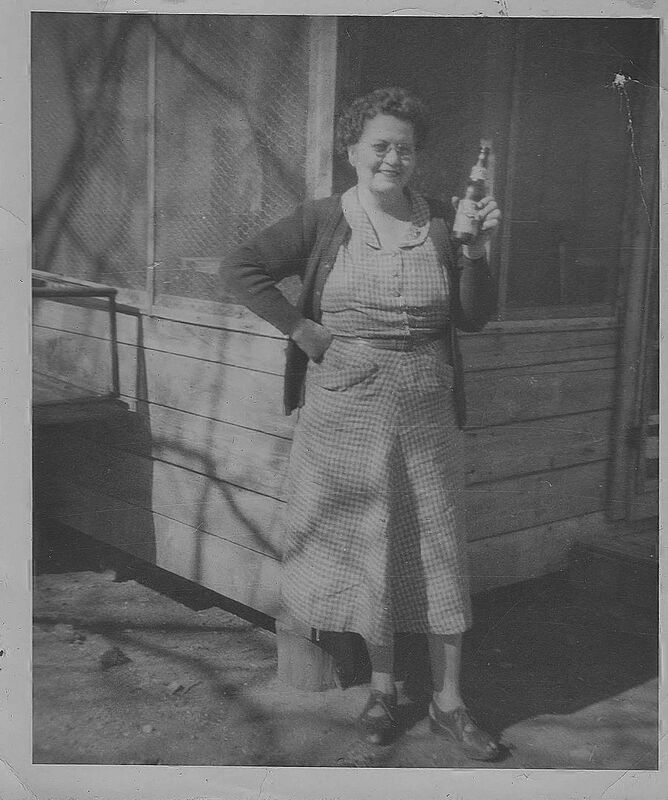 My great grandma was from around Rome, Georgia. Her dad was a share cropper. Apparently poor. She told me they also ate something called lambs quarter that grew wild. She also told me about seeing the dough boys on the train going off to WW1. Pretty cool if you ask me! She made the best fried chicken I have ever had. That's the same story as my Dad's side o' the family. Thirteen kids on a share-croppers income! And of course, those kids made home-grown field hands too. My Dad's siblings used to talk about how the second oldest, usually one about 3 or 4, would watch the newest baby while my Grandma worked the field too. 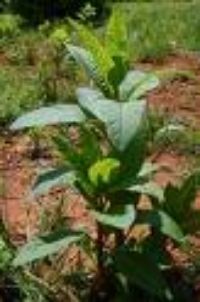 They laughed about how they would lay a quilt out under a cotton plant for the infant. Any children older than 5 got their own little cotton sack that they used until they could drag a big one. My maternal grandmother was born in 1895. She was eight when the Wright Brothers first flew and 17 when the Titanic went down. She remembered watching Haley's comet in her youth and was damned disappointed when it came back around; said it didn't compare to her first sight of it. She grew up riding horse-drawn buggies and flew out to California with a great-grandaughter on her first airplane ride. She was about 75 then. She was a character for sure, drinking and smoking up way into her late 80s. She died at 99, just a few months short of 100. Oh. And she never believed men went to the moon either! 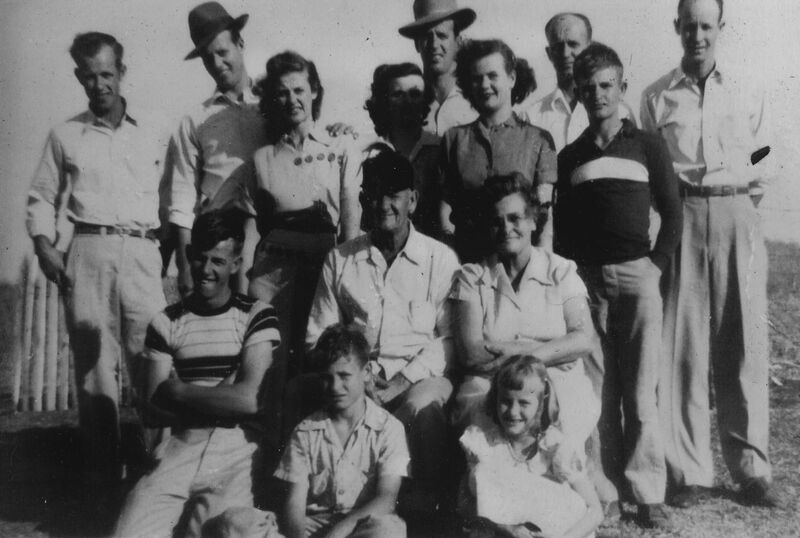 The only photo known that shows my Dad's entire family. My Dad is second from the left on the top row. They are all gone now. Sorry for the serious "thread drift" but talking about poke kinda summons up those memories, doesn't it? Sounds like a man who knows his way around some poke! And yes ss, you got it right about those ol' folks! Here in southern Ohio, poke salad is eaten too. Sometimes we cook it up with another springtime favorite, Morel mushrooms. So it seems that everywhere it's eaten, poke salad/sallet is a southern dish! Surely, the tradition of eating it stems from hard-working folks seeing it as a "free" supplement to their diet. And for the simple fact as well that it tastes damned good too! Now John A., about those "hickory chickens"...tell us more please. I had some "wild mushrooms" a couple times; damn, took hours for the effects to wear off. Fry them up in hot grease with a little butter and bread them with flour like you would bluegill and Mmmmm MMMmm. Thanks for that! Might have give them a try, sounds great. Damn... you all made me hungry!